The 'Pickersgill' listing can be found here. And the listing for Austin & Pickersgill Limited is here. Corrections in any of the material which follows, however tiny, would be most welcome. And additions, of course! The list which follows is a list of 'Pickersgill' built ships - commencing in 1838. The list includes vessels built before any numbering system at all was started. A count later perhaps. Dunsandle (a barque) See here for a partial history of the vessel. Hound (a barque) See here for a partial history of the vessel. Aid (a brig) See here for its partial history. Enchantress (a barque) See here for its partial history. Anniversary (a snow) See here for its partial history. Ashley Down (a brig) See here for its history. Pickersgill & Co. - in 1856 Pickersgill & Miller. Margaret Knight (a snow, or brig) See here for a partial history. Alice (a snow) See here for a partial history of the vessel. Forest Oak (a ketch, later a schooner) See here for a partial history of the vessel. Amy Serena (a snow) A partial history of the vessel is here. Per Lloyd's Registers, T. Seed thru 1886/87 then Fleetwood Shipping Co. Ltd., both of Fleetwood. However the Mercantile Navy List of 1880 states that the vessel, then a brigantine, was owned by 'The Fleetwood Shipping Co. Ltd.' of Liverpool. Bill Swift advises (thanks!) that on the night of Jan 23, 1875, the vessel was in collision with Joshua & Mary, also built at Sunderland, during an enormous gale which swept the country. Both vessels were damaged & both were assisted into Ramsgate. Lloyd's Register of 1882/83 notes that the vessel had been wrecked. T. Seed, maybe of The Fleetwood Shipping Co. Ltd.
T. Seed, maybe of Fleetwood Shipping Co. Ltd. The Fleetwood Shipping Co. Ltd.
T. Seed soon The Fleetwood Shipping Co. Ltd.
T. Seed, maybe re The Fleetwood Shipping Co. Ltd.
R. W. Jones & Co.
Can anybody advise exactly when 'Wm. Pickersgill' became 'William Pickersgill & Sons'? It would seem to have taken place upon the death of the founder of the business, Wm. Pickersgill, which death occurred during the construction of Stuart. Hence my break in the lists. But the exact date of the change has so far eluded me. J. Russell, Son & Co.
J. P. Ninnes & Son soon Golconda Steamship Co. Ltd.
Hurley Matthews & Co. or Garth Steamship Co. Ltd.
R. P. Houston & Co.
China Merchants Steam Navigation Co.
Andrada Sailing Ship Co. Ltd. Single Ship Verbena Co. Ltd.
Naworth Castle Ship Co. Ltd.
Andorinha Single Ship Co. Ltd. The Ship 'Conway Castle' Co. Ltd.
British & Foreign Steamship Co. Ltd.
Buenos Ayres Great Southern Railway Co. Ltd.
Anglo-Algerian Steamship Co. (1896) Ltd.
Austin Friars Steam Shipping Co. Ltd.
Anglo-Arabian & Persian Steamship Co. Ltd.
Bedouin Steam Navigation Co. Ltd.
Greystoke Castle Steamship Co. Ltd.
Can anybody advise at which date, in 1907, 'William Pickersgill & Sons' became 'William Pickersgill & Sons Limited'. Lancashire & Yorkshire Railway Co.
Goole & West Riding Steam Shipping Co. Ltd.
Mervyn Steam Shipping Co. Ltd.
Ogmore Steamship (1899) Co. Ltd.
British Standard Steamship Co. Ltd.
M. U. Martinolich & Co.
North of England Steamship Co. Ltd.
Thomas & Appleton Shipping Co. Ltd.
E. Thomas Radcliffe & Co. Ltd.
British India Steam Navigation Co. Ltd.
Dalgleish Steam Shipping Co. Ltd.
Rowland & Marwood's Steamship Company Limited. The Cairn Line of Steamships Ltd.
Tatem Steam Navigation Co. Ltd.
International South American Steamship Co. Ltd.
Atlantic Shipping & Trading Co. Ltd.
United British Steamship Co. Ltd.
Sheaf Steam Shipping Co. Ltd.
Rowland & Marwood's Steamship Co. Ltd.
Westoll Steamships Ltd. eBay vendor 'j.flynn' advises that on Dec. 7, 1940, the vessel, Capt. 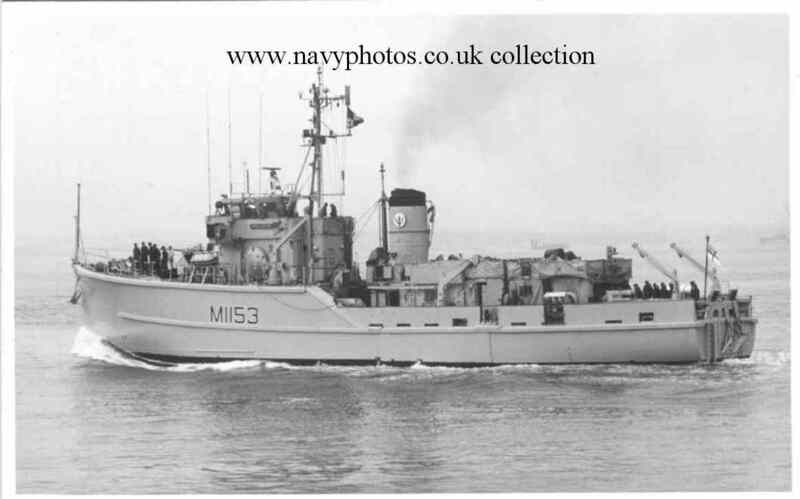 P. Kirkaldy in command, was in convoy off Southend when she struck a mine & sank. Six men were killed by the explosion. Capt. Kirkaldy was among the survivors. Wm. France Fenwick & Co. Ltd.
Stephenson Clarke & Associated Companies Ltd.
TID 152, later Sir Milne (a tug Note). This page (thanks!) tells us that the vessel was sold in 1947 to the Belfast Harbour Commissioners & renamed Sir Milne. In 1984 she lay derelict in a bankrupt shipbreaker�s yard at Malahide, near Dublin, Ireland. Later broken up at Dublin. W. A. Phillips, Anderson & Co. Ltd.
Sir Archibald Page, later Sir Archibald Rage, Andreas S.
Lamport & Holt Line Ltd.
Bolton Steam Shipping Company Ltd.
William France, Fenwick & Co. Ltd.
Errington Court, later Ratna Chandralekha, Indian Endeavour, Tamil Periyar E.V.R. Vasilios R., later Ilios, Angeliki S.
Compania de Navegacion Golfo Azul S.A. Shipping & Coal Co. Ltd.
Northern Petroleum Tank Steamship Co. Ltd.
Watergate Steam Shipping Co. Ltd.
Australind Steam Shipping Co. Ltd.
Mauritius Steam Navigation Co. Ltd.
Houlder Bros. & Co. Ltd.
London & Overseas Freighters Ltd.
Empros Lines Shipping Co. Special S.A.
P. S. Li & Co.
Shaw, Savill & Albion Co. Ltd.
Katerina I Copania Maritima S.A.
Katerina Delta Copania Maritima S.A.
Panama City, Panama or Manila, The Phillipines perhaps? Compania de Navegacion Ingenious S.A.
World Wide Shipping Agency Ltd.
Quite a few unused numbers particularly in the later years.